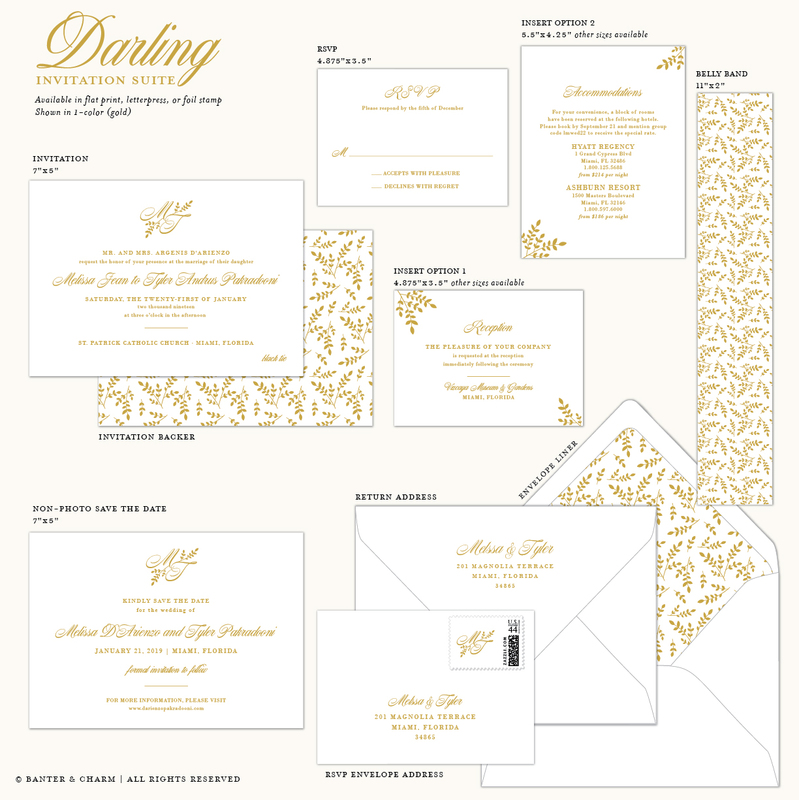 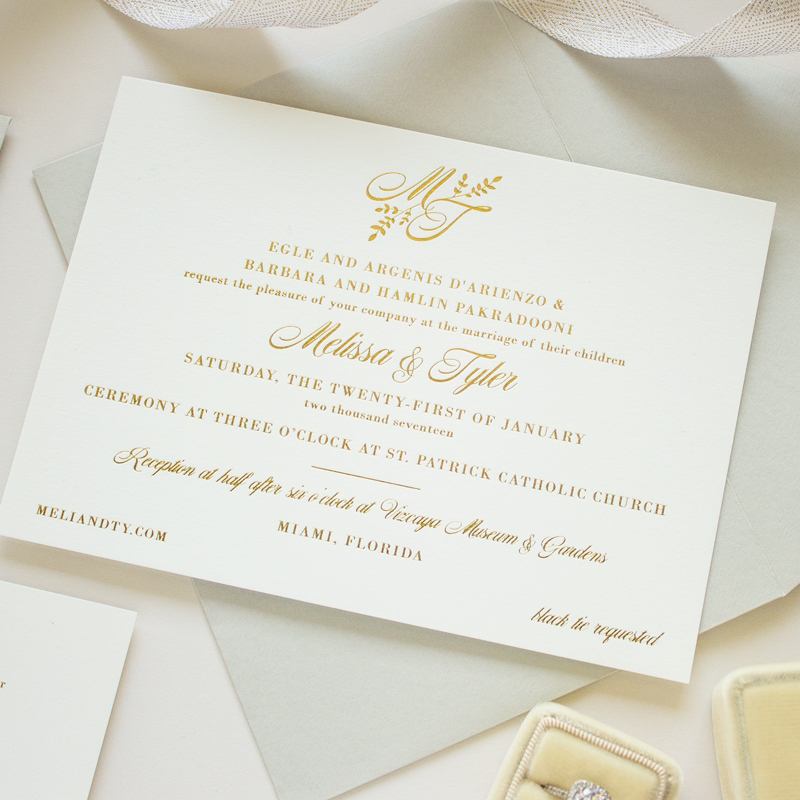 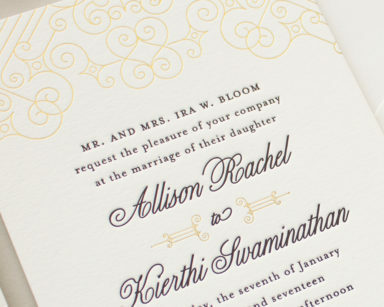 This gold foil wedding invitation features an elegant monogram embellished with leaves. 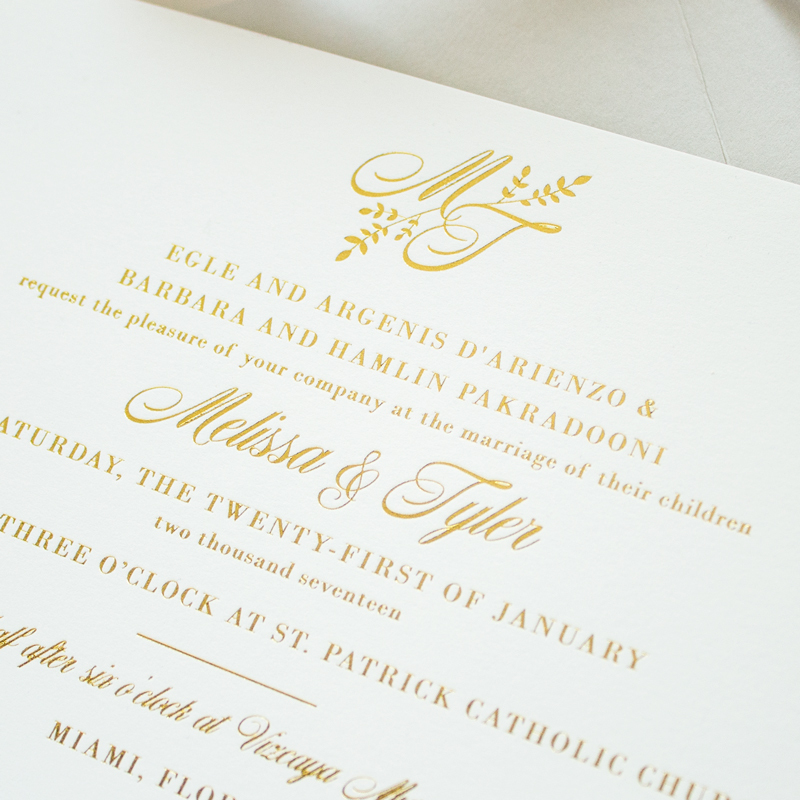 The gold foil monogram on the invitation will be customized with your initials. 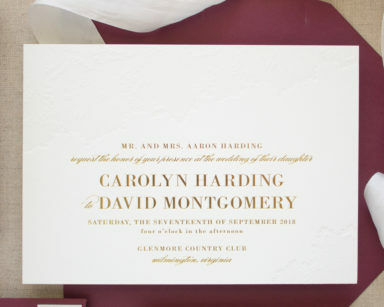 Other monogram styles are also available. 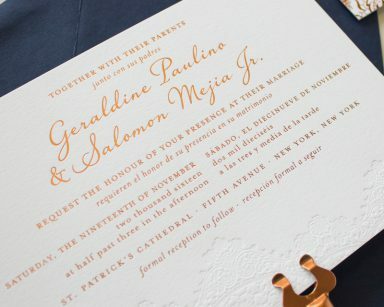 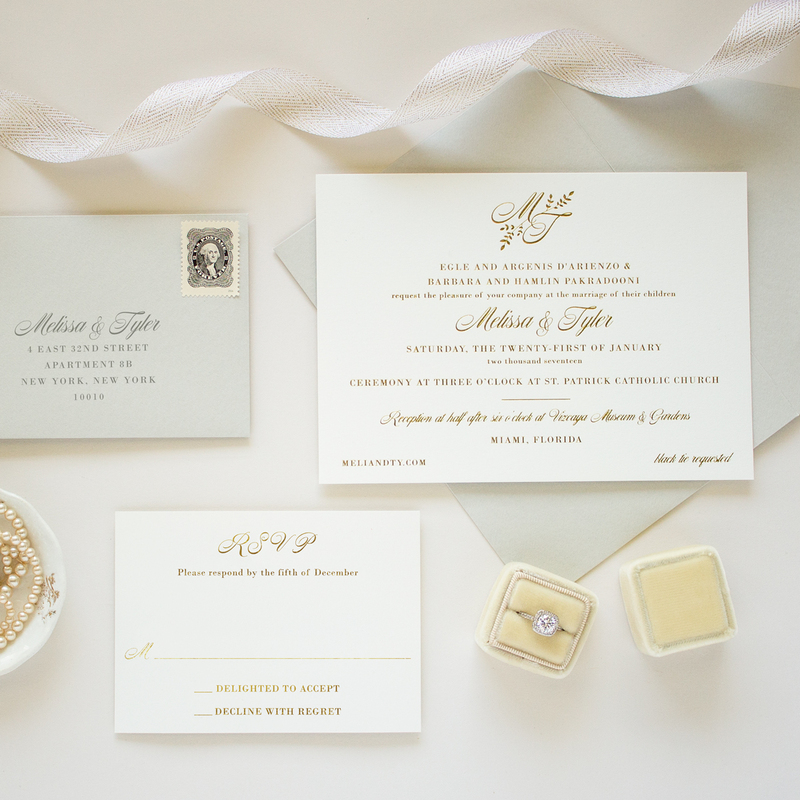 From the fonts to ink colors, every aspect of this invitation suite can be customized! 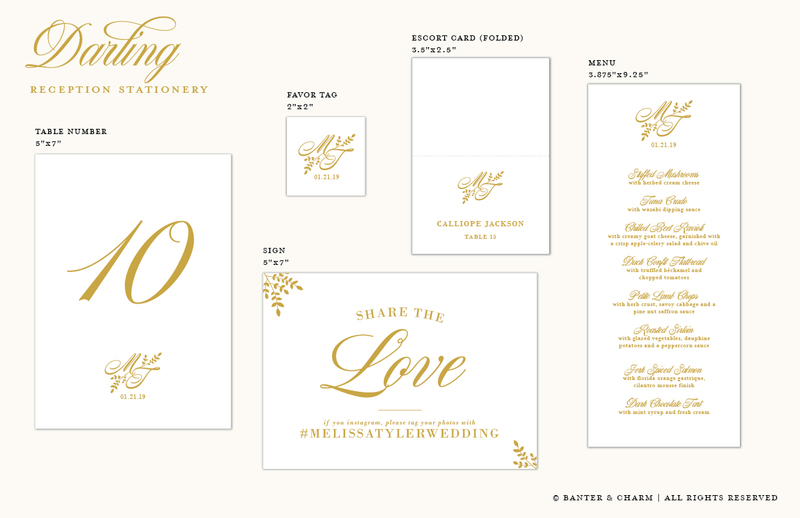 The Darling sample design is shown with the following options.